Looking to shake up your breakfast routine? 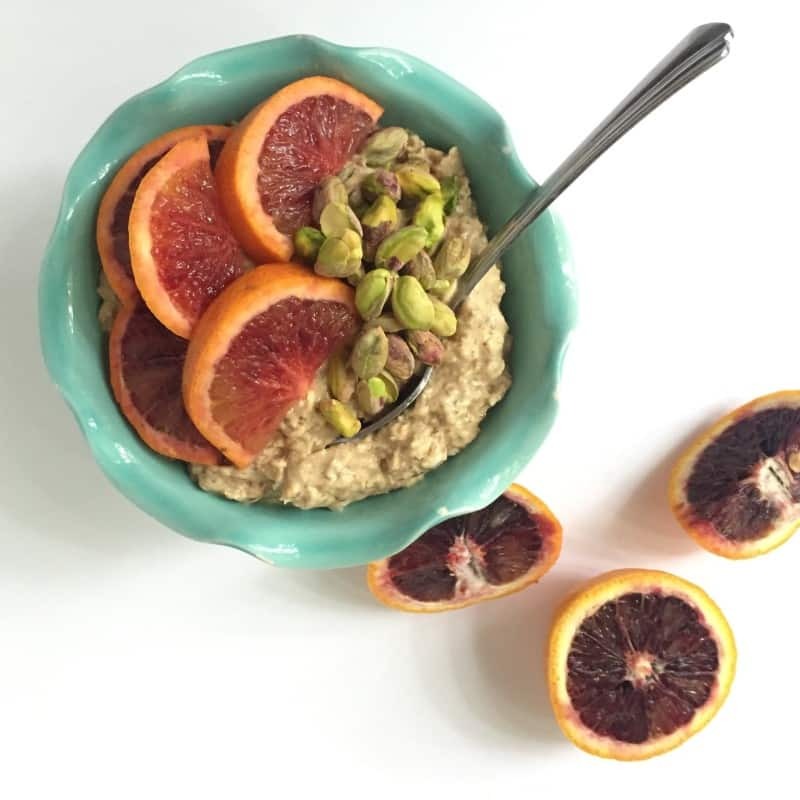 This nourishing Pistachio and Blood Orange Muesli recipe fits the bill. Sweet and salty come together for a breakfast muesli guaranteed to keep you full for hours. I first discovered muesli while traveling in Prague. I had heard of it before and imagined it to be similar to granola. Not expecting much I gave it a try and was immediately hooked. Coming back to the US, where we just don’t do muesli right, I sought to make my own version. This muesli recipe is soaked in the refrigerator and eaten cold, giving it a similar texture to overnight oats. 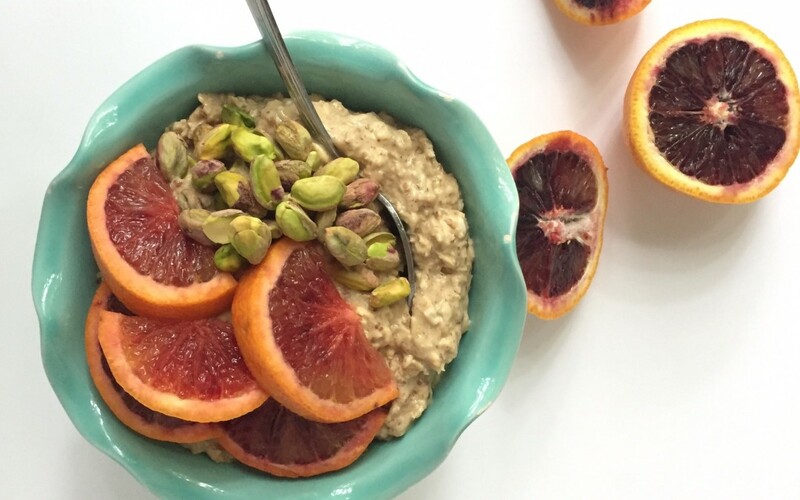 Topped with pistachios and blood oranges it makes for a bright, naturally sweet breakfast. Blood oranges are similar to the more common varieties of orange found in the supermarket, but they are less acidic and slightly sweeter. Plus their bright reddish-purple flesh looks oh-so-pretty on top of your muesli bowl. Combine oats, chia seeds, almond butter, yogurt and almond milk in a small bowl. Stir well until all ingredients are combined. Cover and refrigerate overnight. 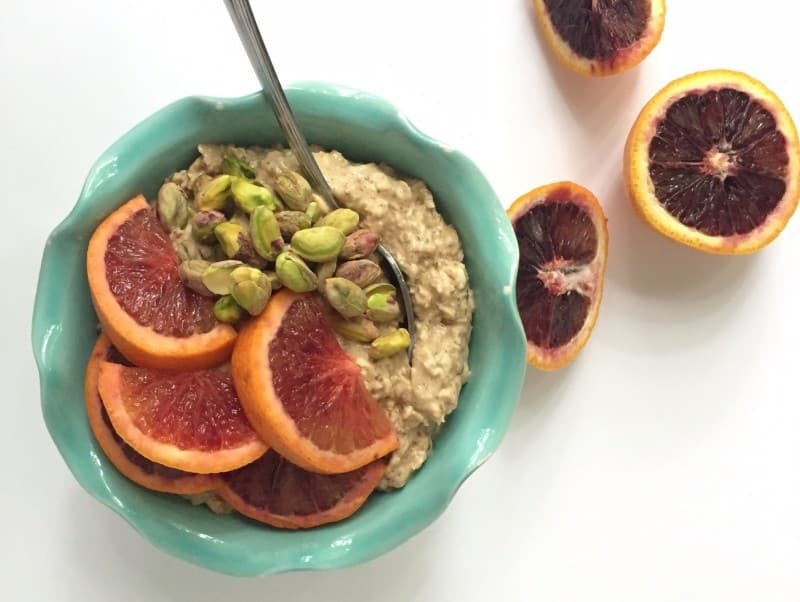 When ready to serve, spoon into two bowls and top each with 2 tablespoons of pistachios and blood orange slices. If desired, add more almond milk for a thinner consistency. 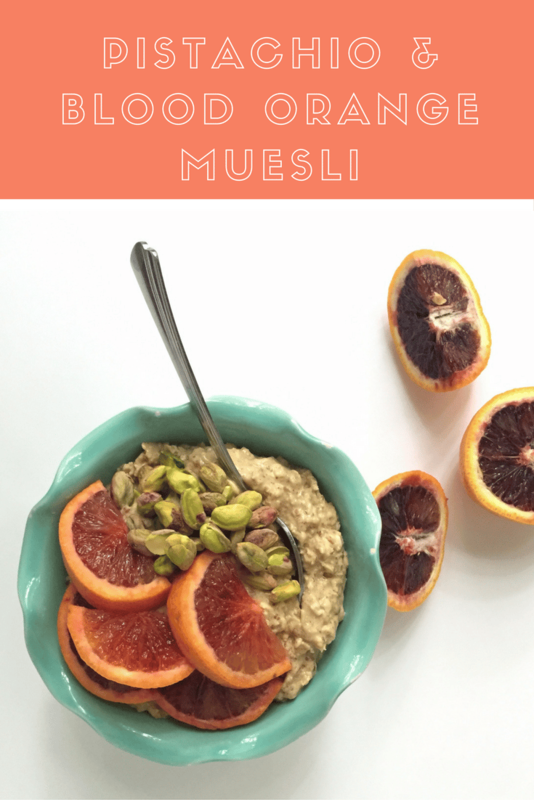 Have you tried muesli before? What is your favorite way to enjoy it?